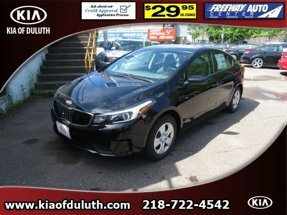 Description This CLEAR WHITE 2019 Kia Forte S IVT might be just the sedan for you. This one's available at the low price of $21,085. It has great mileage with 30 MPG in the city and 40 MPG on the highway. The exterior is a timeless clear white. Don't wait until it is too late! Call today to schedule an appointment.